Pet friendly travel is a fast-growing segment of the travel industry and hot trend within the booming pet industry. 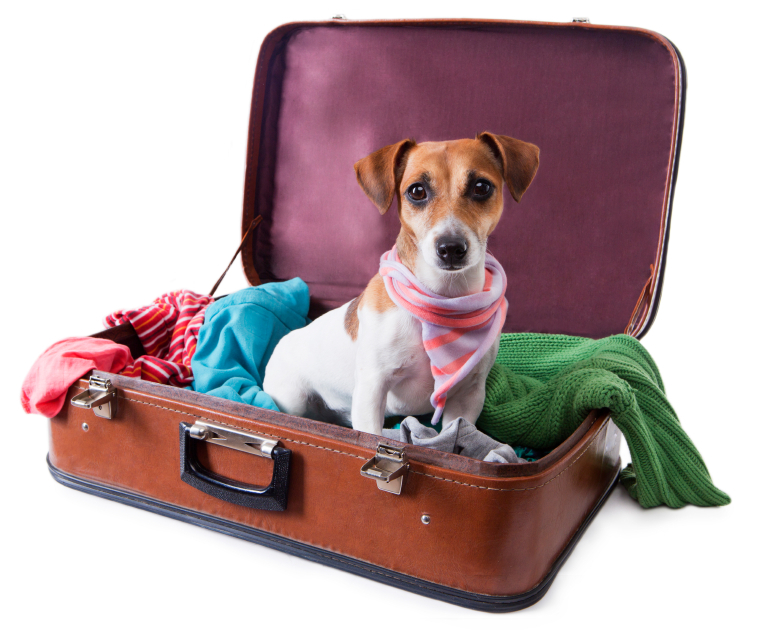 According to a recent study by AAA and Best Western International, more than half of U.S. pet owners take their cats and dogs with them when they travel. While dogs remain the most popular travel companion (58%), a survey by PetRelocation.com shows that a growing number of people are now traveling with their cat companions too and account for 22% of pet travel. If you are planning a family vacation, weekend excursion, or packing-up for a day trip to the beach, mountains, or beyond, there are a growing number of pet friendly accommodations, amenities, and pet-friendly destinations/activities for you. There are also now more options than ever in pet gear and accessories for every budget and for everything imaginable under the sun… get ready to pack another bag! With the proper preparation and a handful of travel essentials, you can hit the road for a fun, stress-free pet friendly adventure. Whether embarking on a short jaunt or a long trip, traveling by car or by air, THE most important aspect of successful pet-friendly travel is safety and comfort. Utilizing a proper travel carrier or crate is important for both dogs and cats, and when traveling by car, utilizing travel safety seats and/or safety harnesses designed for pets are a must for safety on-the-road. Condition your pet by positively rewarding and modifying their behavior toward the carrier with food/treats. Leave the crate open while at home to encourage short stays inside. If you’ve never used a carrier, it’s important to test it out prior to the trip. Many experts advise introducing your pet to the carrier experience at least 10 days in advance of travel. Be sure to check requirements where traveling to, and to obtain necessary health certifications from your Vet. Your pet should be up-to-date on vaccinations and flea preventative before any type of journey that could result in unwanted pests. And remember, if preparing for a flight, be sure to plan well in advance and check with individual airlines for policies/requirements. With a little practice, the benefits of desensitizing your dog or cat to the carrier/crate, the car ride, and the general anxiety associated with strange smells, sounds, and places will equate to a more socialized and well-prepared travel companion. So, on your next trip, don’t forget to pack up the animals! Pretty sure they will want their own suitcase.